I have reflected on many occasions that the therapist’s job has a lot to do with helping people change. But how can a therapist promote change? I think that there are three main ways. First– and that’s why the picture– we can change by changing how we look at things. The picture will be familiar to a lot of people as an example of two things– a young woman looking away from the viewer, showing her left ear and cheek, and an old woman looking toward the viewer’s left, with what was the young woman’s smaller chin as the older woman’s larger nose. Helping people to see things differently is sometimes called reframing in the therapy business. I like to joke that politicians are evil spin doctors, while therapists are benevolent reframers. It is true that seeing things differently can change how you feel about a situation & your prospects for the changes you want. But reframing is a hazardous undertaking: a well-meaning friend once told me, when I mentioned being down about a romantic break up, “That’s great! you got the wrong relationship out of your life to make room for the right one!” The friend was actually right, but it was the wrong time & the wrong way to say it. One of my personal Hall of Fame reframes came spontaneously from a client who was talking about dealing with some truly horrendous life difficulties. In a tone of frustrated disgust the person said, “I wish I wasn’t so good at this!” It sums up how we so often feel about getting through life’s vicissitudes. I’m getting through, and I’m good at dealing with my situation, but I wish I didn’t have to be! The second way of changing is the method sometimes characterized as “Act as if” or “Fake it ’til you make it.” This is the behavioral method. You ask yourself, or make a plan together with your therapist, about what your outward actions would be if you didn’t have your problem. Sometimes, when making a treatment plan with a client, I ask “What would success look like if we had video of you living your life successfully, but with no sound?” This is very appropriate for things like agoraphobia. If I’m unable to get out of the house, success looks like me being out of the house. In fact, behaviorally oriented treatment for phobias in general is one of the most successful forms of psychotherapy. The key is to remember the behaviorist’s maxim, positive reinforcement for successive approximations of the desired behavior. If I have agoraphobia and experience panic from going out the front door, I won’t start my “act as if” change with a cross-country road trip. I will more likely start by going out the back door and standing right next to it for a minute, then maybe going ten feet into the back yard for two minutes, and so on. I actually did this with a client at one point with good results. There are more complicated examples of the “Act as if” behavior change method, but the basic idea is that change works from the outside in when using this method. The thing that makes a therapist necessary a lot of the time is the therapist can provide feedback about what constitutes a next approximation of the desired behavior as well providing the positive reinforcement. Coping with phobias in this way frequently entails a degree of distress tolerance, which is another topic all by itself. A client may be highly self-critical about progress where the therapist can, in a wholly dispassionate way, point out that the client is, in fact, making progress. Which brings us to the third way to change. The third way to change (for our consideration right now) is how you think about things. This includes everything that comes under the heading of cognitive therapy. Much of what we consider thinking is essentially talking to ourselves– with our without moving lips or making noise. Some might consider this to have a high degree of overlap with the first kind of change, how you look at things, and I won’t disagree, but I think the two are different enough that this is a distinct category. To illustrate the overlap, I like to think of the example of the half full glass– or is it half empty? How we label it verbally is one thing, and how we actually see it is related. But I like to say that to a person drowning, the glass is half full– of air. Or to the efficiency expert, it’s twice as big as it needs to be. To a more inquiring mind, the question might arise, half full of exactly what liquid? Maybe we have assumed it’s water when it is, in fact, glycerin, another clear liquid. 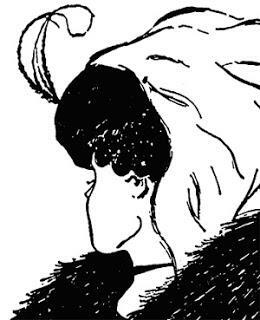 So how we think about things does overlap with how we see them. But how we think about things includes, most importantly to my way of thinking, the way we think about things not seen. So to return to our hypothetical agoraphobia case. Maybe the person has trouble going out because of a fear that the neighbor will be looking out the window and holding a grenade launcher, ready to attack. This may be a firmly held (false) belief– a delusion. Working with delusions and hallucinations is outside the scope of what I’m talking about for now. But the person who is in fear may recognize that the fear of the heavily armed neighbor is irrational and highly unlikely, but still have the fear. It’s possible to change this by fact-checking oneself. One could, for example, call up the neighbor and ask, do you own a grenade launcher? The example is deliberately silly, but the basic idea remains. A closer look at many forms of anxiety suggest that we are making up a story about the future– an overly worried story. A person with social anxiety is making up a story in which he or she is the focus of disapproval by all the people in a public place. Panic disorder may arise from having fear of the consequences of a panic attack in an inconvenient place/time– even when an objective examination of a person’s history may show that panic attacks, while extremely unpleasant, haven’t stopped the sufferer from getting through life. In this case, the story one tells oneself about the attacks can create more problems than the attacks themselves. Different therapist have labeled this process differently in the past. Albert Ellis combated irrational beliefs in his Rational Emotive Behavior Therapy, And Aaron Beck it is the name most associated with CBT, cognitive behavior therapy, which helps people identify cognitive distortions and combat them. I have a point of difference with these approaches in that I feel they put up a significant barrier to change. If I am a client and a therapist tells me my thinking is irrational or distorted, that doesn’t help me feel much better. I know I’ve got problems, which is why I’m in therapy. Don’t tell me I’m bad when I already feel bad! (For more, see Beck or for a more reader-friendly version, Burns.) Believing one is worthless because of feeling worthless in an example of the cognitive distortion known as emotional reasoning. So how do we use these tools without the tools themselves hurting? Here’s my proposed approach: we see ourselves as creative story tellers. Let me explain. A person takes something from real life– a painful failure, for example. I’m attracted to someone and hope that they may be attracted to me, so I ask them out.They decline my offer. I feel hurt and disappointed. Now I make up a story, and it goes like this: “I always get rejected, I’ll never have a lover.” It’s a short story, and a tragic one. But it’s made up. When I start fact-checking myself, things may be different. Maybe I had a lover in the past, which proves that my statement about never having a lover is false. Likewise, if I had a past relationship it demonstrates that the word always is too extreme. This is a way of identifying the thinking problem that is labeled “all-or-nothing” or “black and white” thinking. I still may have relationship problems. Maybe I pick inappropriate candidates as potential partners. Maybe my relationship failed because of something I did, or through no fault of my own– the other person might have their failures & shortcomings, too. But all/nothing doesn’t help me identify a path to success. So here’s my reframe of CBT itself: we are all creative story tellers, even myth makers. It comes to us so naturally that we don’t even realize we are doing it. We make up stories and we fall in love with our stories. We even come to believe our stories. But sometimes our stories aren’t helpful; they can even be hurtful. We can mitigate the negative effects by fact-checking our own stories as dispassionate journalists, or scientific researchers might. In the example above, there is still the pain of rejection by the hoped-for partner. This process doesn’t solve all problems, it’s just a tool. Solving problems requires other things– patience, practice, careful observation, diligence. But it is a great place to start. For example, I just used the word partner in the rejection example. That suggests that I already made up a story about asking someone out, them accepting, us getting along, getting along even better, my attraction being reciprocated, and a relationship developing. Stories pervade our lives so deeply that it takes thoughtfulness to spot them, and a single word can reveal a rather detailed story. The point that I want to emphasize is that there’s nothing inherently wrong or bad about the story. Another example– the famous statement, “For your dreams to come true, first you must dream.” Most of us dream of having fulfilling intimate relationships. In my value system, this is a good thing. There are boatloads of studies showing that good relationships support better physical health, much less mental health. We can have personal stories, small or large, that are hopeful, helpful stories. This comes back to the interplay between how & what we think, how we see things, and how we behave. There are clearly complex interactions among the three possible avenues to change. But the good news is that it’s possible to start anywhere. At least that’s the story I’m using, because when I act as if it’s true, I can see things differently. This entry was posted in behavioral health, change, cognitive therapy, mental health, Therapy processes and tagged behaviorism, CBT, Cognitive behavioral therapy, Creativity, story telling, Thought, ways to change. Bookmark the permalink.